Newly developed atomic clocks made by NIST researchers are so accurate that they can measure fluctuations in space time. Newly developed atomic clocks are now so precise they can measure distortion in spacetime under gravitational forces. In a paper published in the journal Nature, researchers from the National Institute of Standards and Technology (NIST) reported that their atomic clocks had achieved three new milestones. According to the NIST researchers, the clocks are now accurate enough to improve navigation and timekeeping. Furthermore, it can now also detect faint distortions in gravity. The physicists achieved new performance records in three significant measures including systematic uncertainty, stability, and reproductivity. “Consequently, clock measurements exhibit sensitivity to relative velocity, acceleration and gravity potential,” the researchers wrote in their paper. Each of the atomic clocks reportedly traps thousands of ytterbium atoms in optical lattices or grids composed of laser beams. In terms of optical frequencies, ytterbium is among the elements currently considered to redefine the measurements for international units of time. Systematic uncertainty: How well the clock represents natural vibrations, or frequency, of the atoms. NIST researchers found that each clock ticked at a rate matching the natural frequency to within a possible error of just 1.4 parts in 1018 — about one billionth of a billionth. Stability: How much the clock’s frequency changes over a specified time interval. Reseachers measured this to a level of 3.2 parts in 1019 (or 0.00000000000000000032) over a day. Reproductibility: How closely the two clocks tick at the same frequency, shown by ten comparisons of the clock pair, yielding a frequency difference below the 10-18 level (again, less than one billionth of a billionth). The ytterbium clocks have surpassed the traditional capability of measuring the Earth’s shape. Reseachers usually base these methods on the tidal measurement surveys of sea levels. The new atomic clocks were also equipped with thermal and electric shieldings that protect the atoms from stray electric fields. This allows the physicists to correct the frequency changes caused by heat radiation. NIST researchers now plan to work on a portable ytterbium lattice clock to practically transport from one laboratory to another. 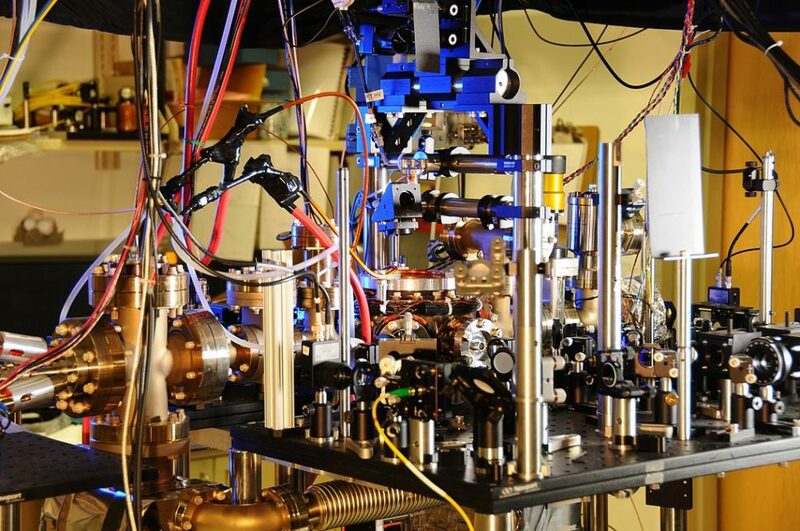 What other potential discoveries do you believe these atomic clocks could provide?